i am working on getting some pictures of my fabric envelopes ready, so for now check out this wonderful etsy shop. i found beau ideal this morning after a trip to oh joy! and i just couldn't pass it by. 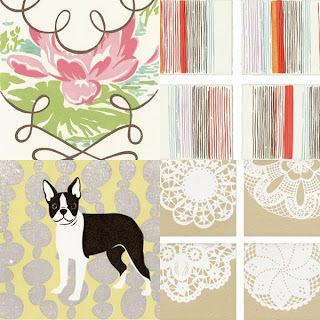 i love the boston terrier card, and the crest cards are not to be missed.